Can be used as pot topping or mulching beds and borders. Helps prevent weed seeds from germinating. 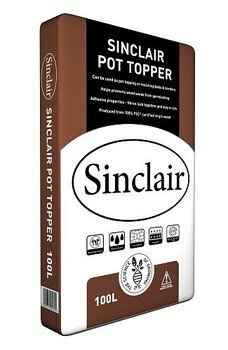 Pot topper bark has adhesive properties that fibre lock together and stay in situ. Produced by 100% FSC certified virgin wood. Helps insulate growing media, garden beds and borders.